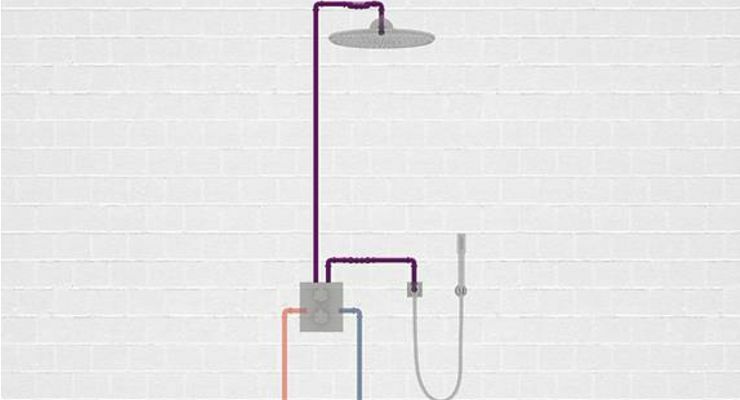 Versatile - the combination of the overhead and hand shower allows the user to enjoy water from all sides. Comfortable - the GROHE Aquadimmer is an operating lever that allows choosing between the head shower and hand shower and controls the flow rate at the same time. Safe – for people with children, we recommend the use of a thermostat fitting, which ensures a constant water temperature to provide protection against scalding. Equipped with the latest GROHE technology, the GROHE Rapido T concealed thermostat provides a flow rate of over 50 litres per minute at a pressure of 3 bar. To ensure good functioning of this shower solution, a minimum of 7 l of hot/cold water are required per minute at a dynamic supply pressure of at least 1 bar ahead of the thermostat fitting.